My father has a saying that he has been using since I could walk — I think he learned it from one of his Puerto Rican friends. It goes something like this, “I was just sitting there, minding my own business, when…. (fill in the blank with my dad’s next great tale of international intrigue.) So, as I write this blog from my ocean-view room at the Marriott in San Juan Puerto Rico, allow me begin with my father’s famous words. Just like Puerto Rico, the energy of the Plazita is magnetic. I got there at around 4 pm, when the grandmas and grandpas sit on the edges of the plaza slowing drinking beer while playing dominos, and the fruit sellers haggle the price for a stem of a dozen bananas. As the night rolled on, the crowds started to gather. 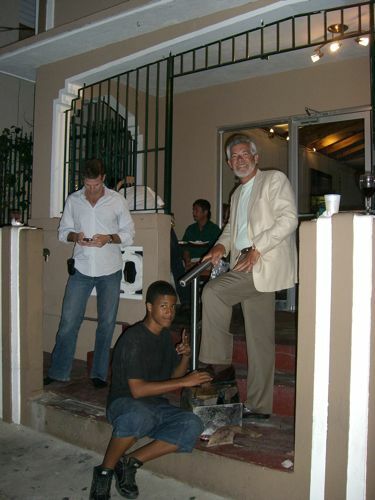 Young men with instruments would randomly start playing their horns and drums, couples would begin moving to the beat — and all the while, Puerto Ricans were eating and laughing with each other. When you come to San Juan, the Plazita del Mercado is a must. Just ask any cab driver to take you there. If you are staying at the Marriott, you can walk there during the day, but don’t walk home at night because the streets are not lit and very winding. The most popular night with the locals is Friday night. The inside of the Plaza is the fruit market, and on the outside you will find over a dozen little restaurants. 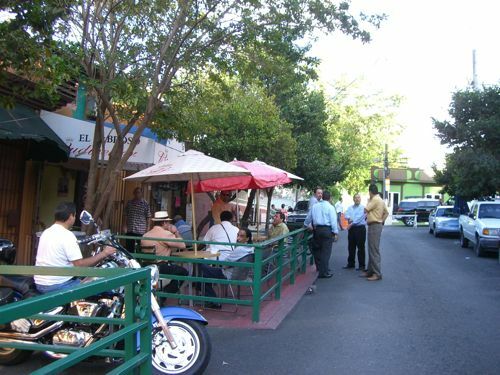 On the side street, many of the locals gather to avoid the crazy crowds that congregate in the Plaza. I hung out at D’ Aki and a fabulous restaurant in an old house painted brown, that is owned by a hot looking guy named Jose. Sorry, I forgot to grab a card. My bad. 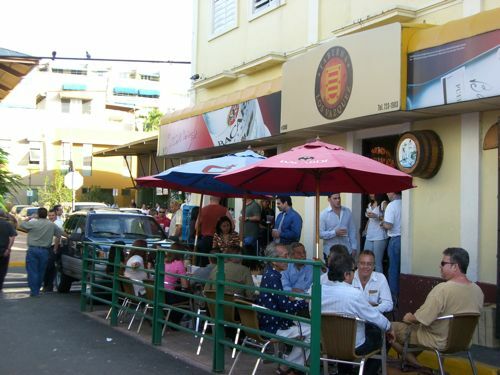 So, if you are looking for a place with tribal beats of the Caribbean, where you can feast on Puerto Rican food, drink very cold beer, and get your shoes shined, then head on over to La Plazita del Mercado in San Juan’s “Santuce” neighborhood. The closest hotel to the “Plazita” is the Marriott, which is a delight!